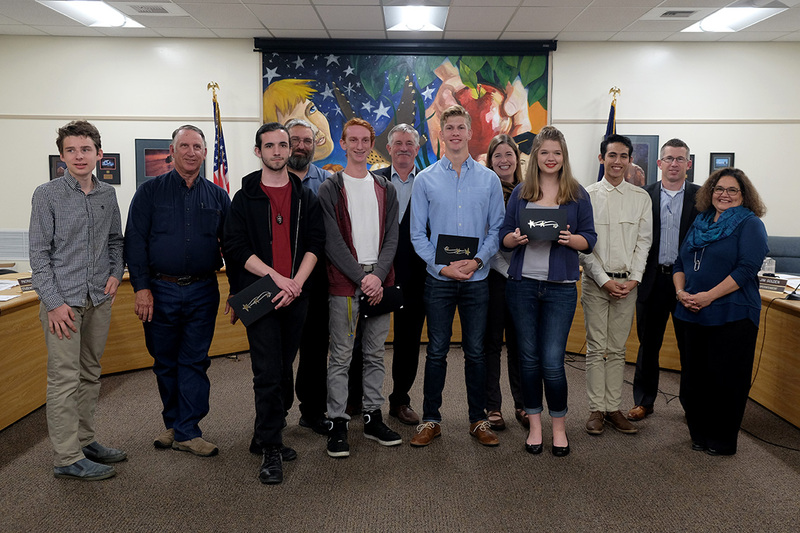 This week, the School Board honored Student All-Stars from South Albany High School for earning the highest scores on the Oregon Smarter Balanced state tests last spring. Nathan earned the highest score in science at South Albany. 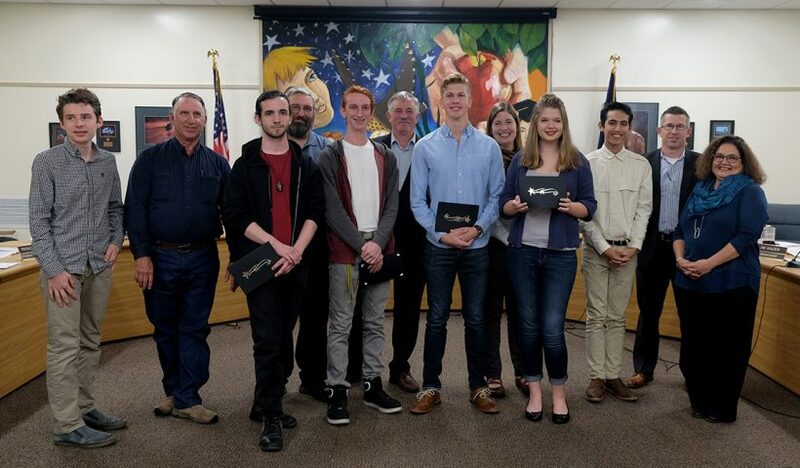 He plans to attend Southwestern Oregon Community College after attaining a transfer degree to then attend Southern Oregon University. He has enjoyed Mr. Chris VanCauterans psychology class the most as Mr. VanCauterans adjusts to meet the interests of each class and his students. Nathan enjoys Mrs. Hillary Mehlhoff as a teacher who truly connects and cares about her students. Nathan enjoys hanging out with his friends in a casual atmosphere on our campus and just talking about nothing real important. Terran earned the highest mat score on the state test last spring. Terran plans to enroll in the electrical apprenticeship program to become an electrician while avoiding the debt of college. His favorite class has been AP Computer Science and mentions that he enjoys the challenge of programming. Mrs. Carla Streng and Ms. Holly Garrow have become his favorite teachers as they teach life lessons and support his efforts along the way. Terran has enjoyed his high school years and the people he has met. Aaron also earned the highest score on the state test in reading. Aaron would like to study graphic design at LBCC and continue involvement in athletics. His favorite classes have been product design and basic design. Aaron really appreciates Mr. Brandon Johnson as a teacher who demonstrates that he cares and believes in his students. He has enjoyed involvement in the track program both in season and pre-season and the friendships he’s been able to develop through his involvement. Lili earned the highest score on the Smarter Balanced reading test. Lili plans to attend OSU and go into the STEM field. Her favorite class at South as been improvisational theater and musical theater. Her favorite memories in high school are of performing in musicals and shows over the years.